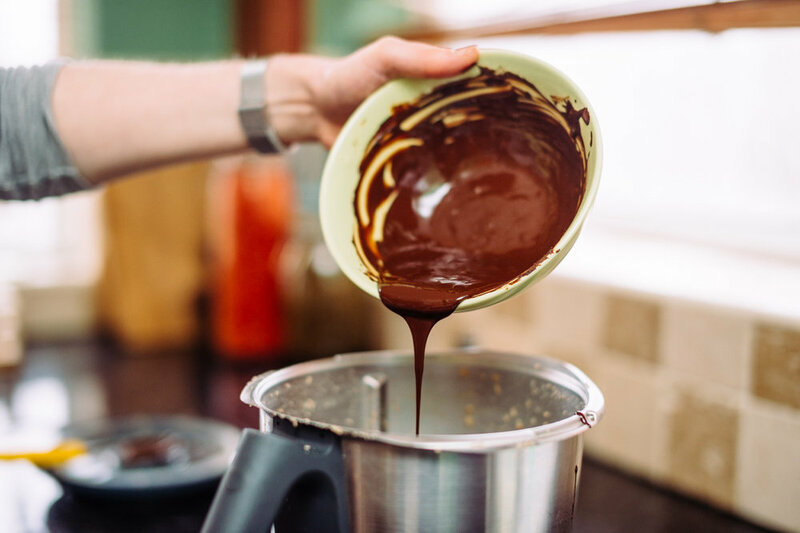 Homemade Nutella – With NO Palm Oil! Chocolatey gooey yummy lovely goodness. Nutella. Anna and I used to eat it from the jar during uni, before our zero waste days, so you can see why I had to recreate it pretty quick. 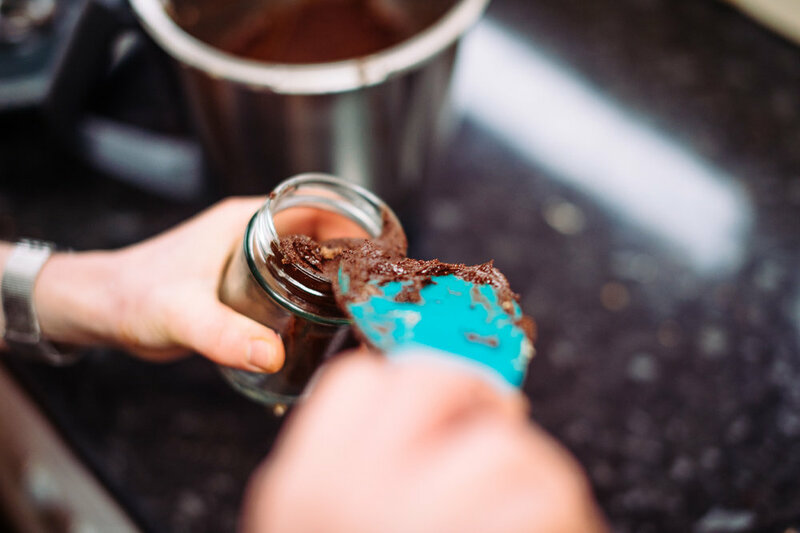 I'm not going to lie and say our recipe is a 'healthy' product, but it sure is better for you and the environment than normal chocolate spreads would be. Refined sugar is hard for our bodies to break down so will stay on our bodies in the form of fat and can lead to very serious consequences. Refined sugar is likely to come from a genetically modified plant, (dependant on your country's trading regulations) meaning the farmer producing it was likely paid a poor wage and their farmland is now monoculture, not permaculture. Permaculture means crop variety, which is heaps better for the environment as it supports nature how it should be – abundant with variety! I learnt about this from Cowspiracy, and it's awful. Deforestation is happening now. Right now as I write and you guys read. According to WWF, "we’re losing 18.7 million acres of forests annually, which is equivalent to 27 soccer fields every minute." I used to think it was something that was hidden away in geography textbooks or a phenomenon which had been wildly exaggerated – but it's not an exaggeration. Rainforests are being bulldozed at an alarming rate to make space for rows and rows of palm trees. These palm trees are popping up in areas where they're not native, forcing animals and plants are to lose their homes, while we're losing our beautiful rainforests. The average consumer is unaware that this has been added to their product doesn't understand the impact palm oil is having on the environment. I think this is one of the awful things large corporations get away with – and it's not fair! We should know what's in our food and be able to trust that it's not being produced unsustainably. A big no-no for you vegans and those who, like my boyfriend, have a lactose intolerance. Essentially, it's just another bulk out ingredient which isn't needed. We skip milk out in our own recipe, so its edible for all – well, unless you have a nut allergy – but you probably won’t be reading this recipe if you do! - a faux foil golden lid, which is plastic. That a lot of elements to make one jar, and it will have taken a lot of resources (most of which would be unsustainable to produce) to make it. To recycle all of that, it's going to take a heap of resources and energy too. Well, yup. Except it's listed on the ingredients list after sugar and palm oil, meaning it's in a lower quantity than the 50% of the jar which is taken up by sugar and palm oil. So a product as seemly harmful as a chocolate spread has already caused the destruction of habitats, people to have been paid unfairly, a large amount of non-sustainable resources to be wasted and it's been pumped full of ingredients no good for our body! 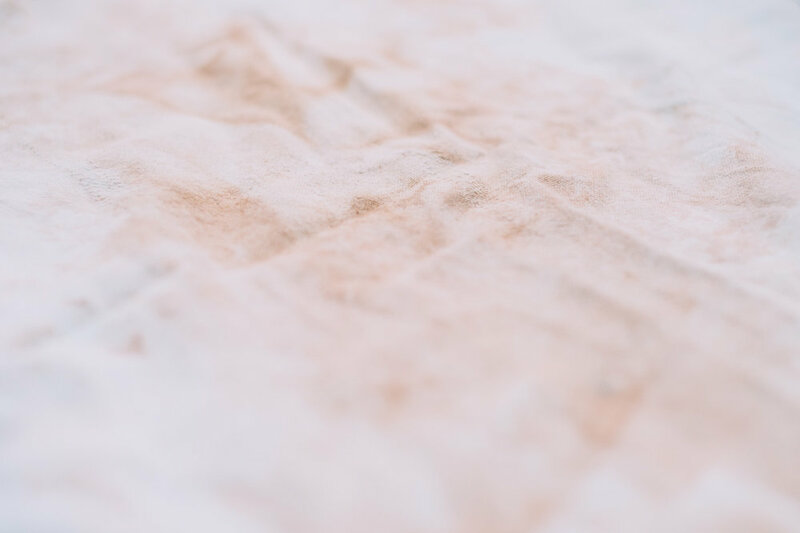 Once we've consumed the product, there are multiple elements to be repurposed or recycled, all of which are taking time, energy and resources. Ultimately, this product is affecting mine and your lives, habitats and the rest of the globe, but it's not all doom and gloom! You can still have this awesome spread in a healthier way and without the above weighing on your conscious. - Clean jar. I use a swing top Kilner style jar for my nut butters- because they have a decent seal on them and, more importantly, look SO cute. Use whatever you have on hand though! - Optional: 200g dark, fair trade chocolate. Go for about 75% cocoa content and look for a sugar-free, dairy-free option. This gives it a nice, well-rounded flavour, but will up the price slightly. Can’t get blanched nuts? Here's a way to remove the skin. 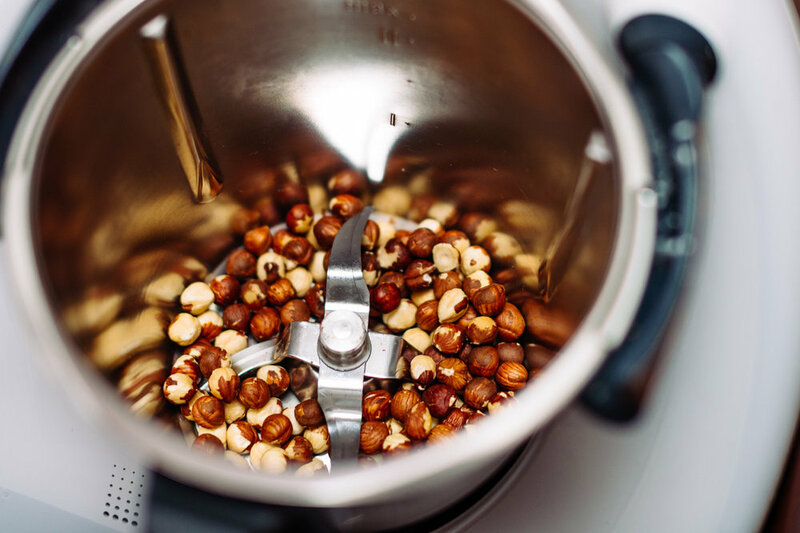 This isn’t the only blanching method as you can boil the nuts too. Roasting works well though, as the nuts need to be roasted anyway. 1. Preheat your oven to gas mark 4/ 200 degrees/ 350 F.
2. Put all the nuts onto the roasting tray. 3. Roast for 10 minutes. Check the nuts as heir skins should be starting to split. 4. 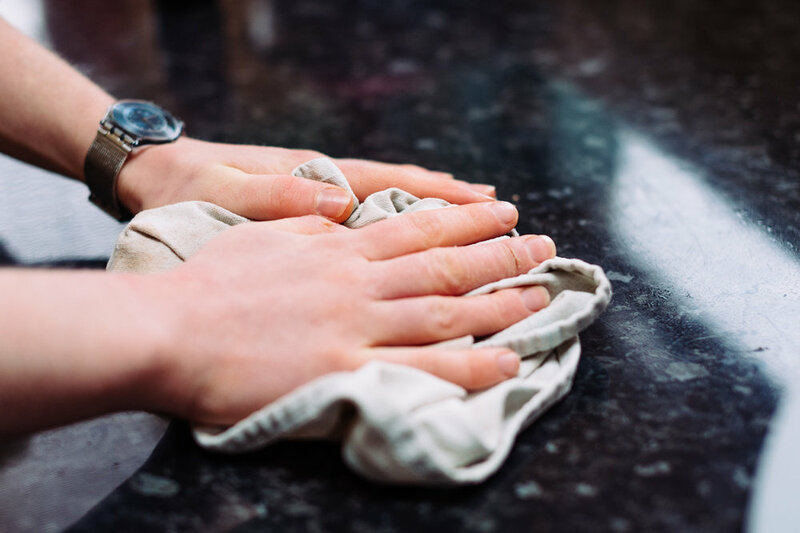 Pour the nuts onto an old, but clean tea towel. Cover them in the tea towel and let them sit for a minute. 5. 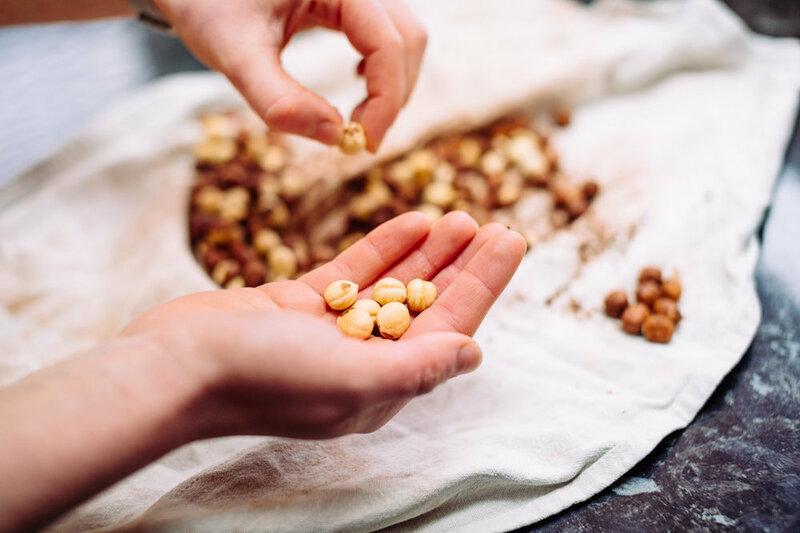 Whilst covering the nuts, roll them around inside the tea towel They'll begin to shed their skin. 6. Any nuts that get completely naked (tee hee) can go straight into the blender, ready for the next step. Don’t panic if not all the skins are fully removed, it'll still taste fine. 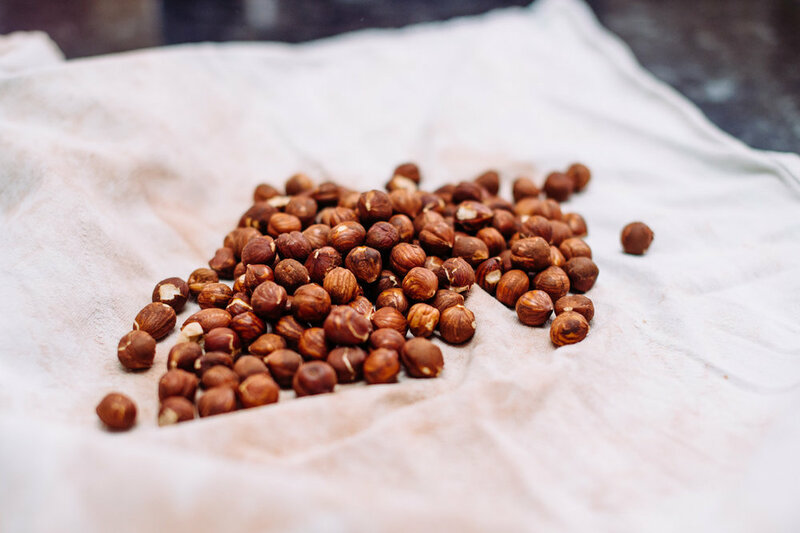 The main reason we remove the skins in our recipe is that hazelnuts have a slightly tart taste in their skins. By removing them, you will need less sweetener. If you struggle to get the skin off, just up the amount of sweetener. Put the skins onto your compost heap… or eat them… I guess?! Though they might be a bit bland and innutritious! When you have your naked nuts add them all to the blender. If you had nuts which were already blanched, you will still need to roast them. Only for about 8-10 minutes on gas mark 4/ 200 degrees/ 350 F. The roasting releases their natural oils, which is the replacement in the recipe for… you guessed it… that awful palm oil! So, however your nuts were when you got them, they should now be skin free! Now for the rest of the recipe…. 1. Blend or pulse all your nuts for about a minute. I start blending before I add the other ingredients, as I find it makes for an easier distribution of the ingredients. 2. The nuts should have quite a fine texture now. Add your cocoa powder and sweetener. 3. Optional: If you're adding the dark chocolate, melt and add it in here. 4. Blend, blend, blend! You'll need to blend for what feels like forever. Each time you stop the blender, scrape down the sides. Blend for about a minute and repeat three or four times. 5. 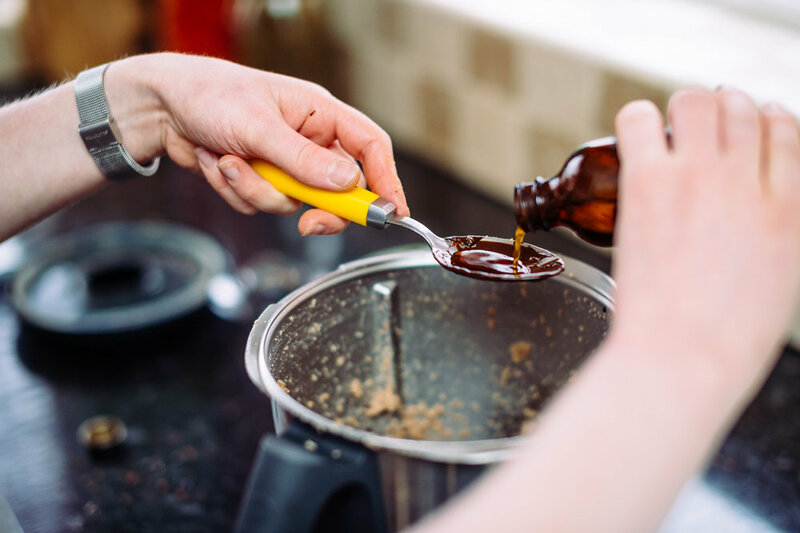 Just as you're getting to the point where you think you'll never have anything which resembles a nut butter, ta-da, it will begin to release those oils! 6. I’d blend for about two more minutes after this point, just to ensure you have a nice texture. Taste, add more of your additional ingredients as necessary. 7. Scrape out your blender, and put the yummy nut butter into your clean jar. If you’re anything like us, you won’t really need to consider storage, as you will eat this in approximately 46 hours. However, some of you will have more willpower than us. If you missed out the chocolate in this, you can store this in the fridge or cupboard. If you added in the chocolate, don’t store in the fridge, or you will have a solidified chocolate lump! So, there you have it! A waste-free, palm oil free, dairy free yummy yummy nut butter, similar to Nutella. Let us know what you put yours on!